A lot of reasonably successful real estate agents make their business on the backs of a few really good leads, or the ones who are demonstratively interested in buying a new home. The rest of their leads get written off as "bad leads" that aren't worth the effort of working with since they're "not ready," "not serious" or "not responsive." However, when it comes to understanding the difference between a good lead and bad lead, there's something most agents fail to understand: There are few truly "bad" leads. All it takes is a little patience and communication to turn a "bad" lead into a client. Some of the primary reasons a real estate agent writes off a lead is because the buyer is not ready to purchase a home and is just browsing, or because they are curious about information on the home but not ready to choose an agent yet. It can be difficult to work with leads who haven't expressed explicit interest in buying a home now, but taking the time and making the effort to change leads who aren't quite ready into serious leads can be well worth the time. Working with leads who are just browsing gives you the opportunity to nurture those leads and help them get ready to buy a home, so that when they do have everything they need ready, you will already be established as their real estate agent. Taking the time to nurture a lead who is unsure or unprepared to buy a home is your opportunity to win more business. By nurturing these "bad" leads, you show your dedication to a buyer who may be your next client. Educate them about the home-buying process, improving their credit and the low-down payment loan options they need to begin the process of purchasing a home. When they are ready, they will know that you are the real estate agent they want to use when purchasing their new home. When you first receive a lead for a buyer who isn't quite ready to move forward, make building a relationship with them and coaching them about the home-buying process your priority. Start by working with them to help them get financially ready to purchase their new home. Offer tools or resources to help your lead improve their credit and tips to save enough money for a down payment and closing costs. As their trusted advisor throughout the pre-buying phases, you will be the best person to help the homebuyer purchase their new home when the time does come. Once your client is emotionally and financially prepared to look for a home, be there to guide them. Find them homes that fit their requirements and budget. Remember, if you need help separating the leads who are ready to buy now from those who will take a little extra work, Homes.com's lead qualifying service can help. 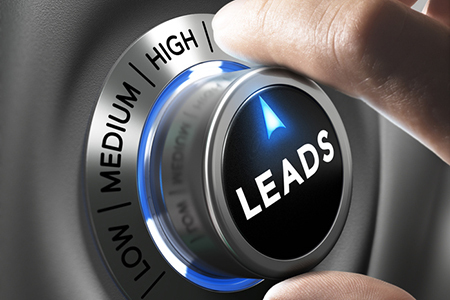 Our team of lead concierges will reach out to your incoming leads for you so that you don't have to drop everything to answer new leads fast. Find out more here.